This goes way beyond Rick and Morty. Grown men are chanting for McNugget sauce at McDonald’s all around America. Let the recent Rick and Morty sauce fiasco be counted as evidence of the decline of civilisation. If you’re just catching up, this is all about a plot point in the season three premiere of the show. It was revealed that the smartest man in the multi-verse, Rick Sanchez, was on a quest to find a limited-edition Szechuan sauce that McDonald’s released to promote Mulan in 1998. 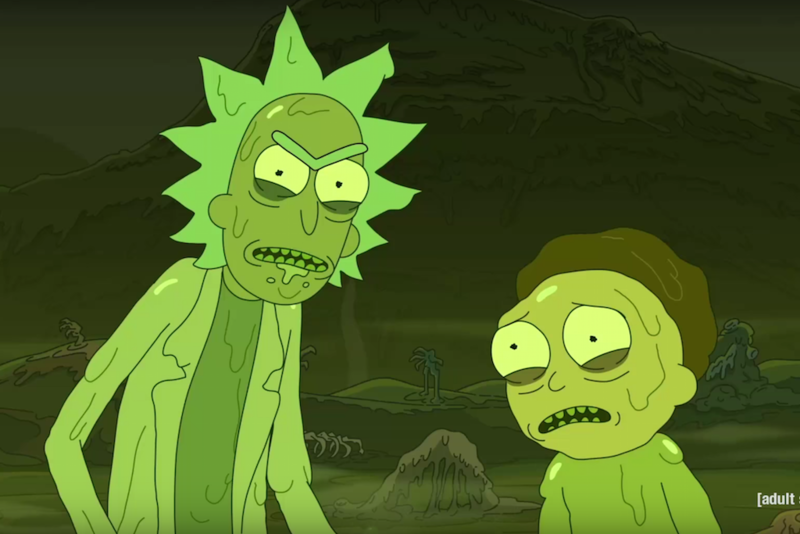 The creators of the show, Justin Roiland and Dan Harmon, presented the revelation as a joke about origin stories and were vocally disappointed in how it escalated in real life. Bad can be found in every sample group of humanity. I have personally seen more good than bad in the R&M fanbase. I'm gonna focus on good. Rick and Morty is a wild sci-fi comedy that’s blunt with its outlook on the world and the nature of existence. It’s the type of show that will deliver a long monologue about the meaning of life but then explain that it’s all about Macca’s sauce. 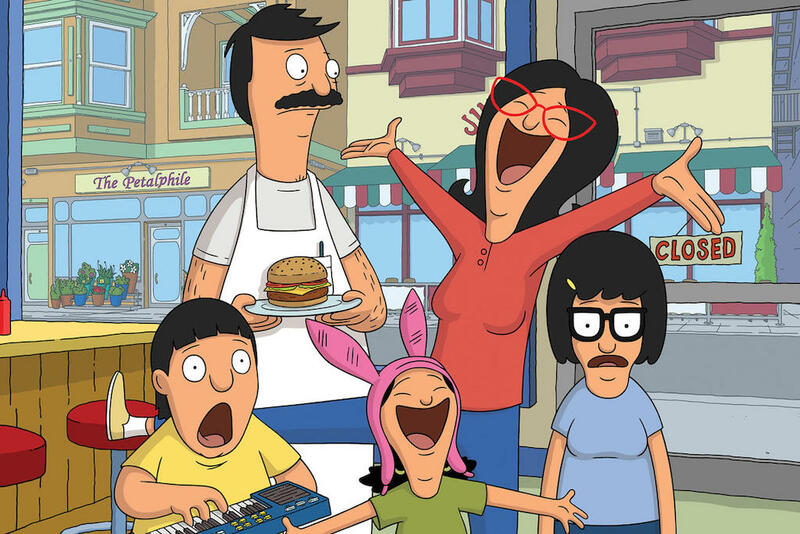 As a lot of animated series do, it skews heavily toward young dudes — many of whom seem to misinterpret the show’s sly, satirical smarts. There’s always going to be people who ruin something for everyone, but it increasingly feels like pop culture fandom has gone rotten. An aggressive type of entitled fan has become dominant and vocal in the past few decades. The arrogant confidence of these fans is out of control with the type of behaviour they think they can get away with. These self-proclaimed ‘geeks’ claim to love something, but instead treat it like a competitive sport. And somehow, in the past two decades these geeks became the new jocks. Many of the pop culture entities that are considered lovably ‘geeky’ now were once a legitimate sub-culture. Marvel Comics and Star Wars weren’t owned by Disney, there were no A-listers at Comic Con and being a nerd was a legitimate hinderance to your social life. Most fandoms were nothing like the juggernauts they are now. People gravitated toward like-minded fans in smaller communities. Fans were able to bond and be proud of what they liked. People still do this now but it’s a bit like a mosh pit; sometimes you’ll find people who have got your back, but there’s way more who are ready to trample you than ever before. The small groups of the past found important confidence in numbers because of the way individuals were bullied in isolation. During this time — primarily in the ’70s, ’80s and ’90s — pop culture offered a refuge and fans knew the things they loved intimately. It’s easier to find fellow fans now, but the sub-culture no longer exists in the way it did before. Geeky properties used to sit just below mainstream popularity and there were large sub-groups of fans of Star Trek, Dr. Who, Lord of the Rings, Monty Python, Dungeons and Dragons, anime, comic books and more. These kinds of pop culture now sit in the mainstream — they’re big business. Thor Ragnarok is out this month — the 17th film in the Marvel Cinematic Universe. Geeks rule. In 1998, Blade was released and it became a huge hit. The obscure Marvel Comics character performed way beyond the expectations of the studio, New Line Cinema, which prompted every film company to check their basements to see what comic book characters they owned the rights to. At the same time the world was experiencing the transition of a recent book phenomenon from page-to-screen with Harry Potter and the Philosopher’s Stone (2001) and a whole generation of devotees were born. X-Men (2000) proved Blade wasn’t a fluke, and then Spider-Man (2002) broke box office records and ignited the explosion of comic book movies, which are now a mainstay of pop culture. Soon after, Batman was rebooted with Batman Begins (2005) and then Marvel announced they had built their own studio to build a ‘cinematic universe’ with Iron Man (2008). Thor Ragnarok is out this month — the 17th film in the Marvel Cinematic Universe. Geeks rule. A year prior to the arrival of Iron Man, a shift was in the air at San Diego Comic Con. Word of mouth is still the most powerful advertising tool, and publicists invaded the convention to sell the latest blockbusters featuring comic book characters. In the same year, fans of the Twilight book series packed the convention hall to get a look at the first trailer. The scope of this type of pop culture was widening, which didn’t seem right to people who thought this stuff was only limited to science fiction and comic books — a huge misconception. Twilight deserved to be there just as much as Star Wars. Pop culture was growing and fans were having trouble adjusting to the new faces. The rot began to set in when female fans — showing up in big numbers — were branded as ‘fake geek girls’. A few men decided they’d be the judge of whether women had the geek cred to be accepted. Geek gatekeeping had begun to get a lot worse with fans starting to judge who was worthy and who was not. With more voices in the mix, pop culture fandom began to get louder and more abrasive. Cut to the announcement of an all-female Ghostbusters reboot — one of the biggest pop culture backlashes in recent times. Male fans, known as ‘ghost-bros’, claimed the new film was sacrilege and called for a boycott. Harry Potter fans raged when a black actress was cast as an adult Hermione in the stage production of Harry Potter and the Cursed Child. Even Star Trek, a diverse utopian show that preaches peace, faced drama when people freaked out over the casting of a black female lead (Sonequa Martin-Green) in Star Trek: Discovery. A lot of modern pop culture fandom is waiting for other people to ruin it. It’s times like these when the reaction of fans makes you want to distance yourself from something you love and that’s heartbreaking. A lot of modern pop culture fandom is waiting for other people to ruin it. These reactions say nothing about the actual content of each production. With Rick and Morty, it’s still a great show; nobody should be shamed into not liking something because of a few bozo fans. But why is this toxic behaviour spreading? It’s because fans are pining for the days when certain aspects of pop culture fandom were contained within the sub-culture. Fandom is not about what you love, but how you love it. The way you engage with other fans says more about you, than getting a Batman tattoo on your bicep. People are overcompensating for the sake of beating other people at loving something. Modern fandom is now a game and, I get it, it’s hard to feel special when you’re a face in the crowd of millions of people. A lot of bad behaving fans look for an excuse to be oppressed so they can separate themselves from the mainstream. A lot of it is perpetuated by the myth of the once-tortured geek who bet on everything that’s now popular. But it’s just not the case anymore. Fans are deluding themselves if they think there’s a chance of what’s currently in the zeitgeist returning to only being spoken about in the function room of an RSL during a pop culture swap-meet. And it’s fatiguing to focus on the negative, especially when it’s a small group creating the most noise and shaming fans as the worst ambassadors ever.